“At speed, the songs embody cold yet chaotic ferocity. In their slower movements, they reach for haunting grandeur and wintry melancholy. Emotionally evocative and immersive music in an icy Norwegian style that’s well-suited by the drifting mists and ancient forests depicted on the cover.” That was my summing up of this pagan black metal duo’s 2017 debut EP, Of Forsaken Vows. It was a very good beginning, and inclined me to pay attention to their new full-length, The Craving Within. Æra (who took their name from the Icelandic word for “honor”) is still a duo, but a different duo now. This time the Chilean-born composer and multi-instrumentalist Ulf Kveldulfsson still leads the effort, but is joined by a different vocalist — Stein Akslen (Blodsgard, Minneriket, Vakslen, V0id & Khaos) from Norway. Ulf is openly motivated by the honoring of heritage and the remembrance of a mythic Nordic age, and the passion of that devotion burns in every note and beat of the music you’ll hear in the two songs streaming through the player below — though the moods change as the songs unfurl (like great banners on a field of war). In the minutes of greatest intensity, when the drumming gallops and hammers and the bass thrusts and throbs, the tempestuous riffing summons visions of forests on fire and warriors consumed in the fire of their own life-taking and life-giving melees. It’s a savage and glorious experience (it doesn’t take much imagination to see the Valkyries riding the skies above the slaughter below), made to feel even more exalted by the sweeping melodies, and even more fearsome by Akslen‘s shockingly caustic snarls and shrieks. But dynamism is a hallmark of these songs, and so the music becomes desolating as well as panoramic, strewn with feelings of loss and lament, anguish and despair, along with defiance and courage. And the closing minutes of “Rites of Odin”, when clean vocals and sparkling keyboards lead a heart-swelling ascent, the music seems to take us into the clouds. Æra reaches for epic heights, and have them within their grasp. I’ll add that the music has been produced with the kind of clarity which permits a focus on each instrument, but with the kind of tremendous power demanded by the inspirations and intensity of the compositions. 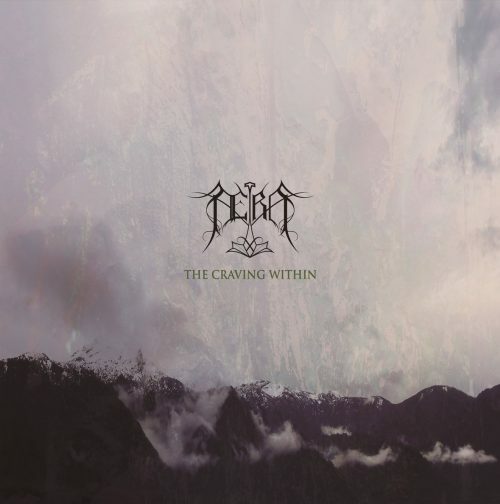 The Craving Within will be released on January 25th by ATMF, who recommends it for fans of early Borknagar and Ulver. 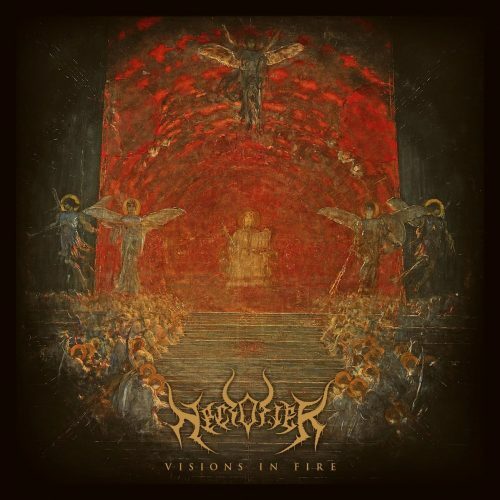 Two things drew me to the debut EP (Visions In Fire) by the Houston-based trio Necrofier. First, the music was advertised as “in the vein of Dissection and Dawn“. And second, the band includes members of Oceans of Slumber, Venomous Maximus, Warmaster, and Insect Warfare — all of which are excellent. The allusions to melodic black metal in the old vein prove relevant. The music brings together electrifying instrumental work and wrenching acid-spray vocal intensity, along with melodies that create an atmosphere that’s cold, sinister, and bleak, but also soulful (the guitar solos are especially affecting in their transmittal of emotional fracturing). In the dynamism of their movements, the songs surge and stalk, whirl like the madness of dervishes and collapse in staggering grief, rip and rock out. The tracks are packed with killer riffs, scintillating leads, and razor-sharp work by the rhythm section. They’ll get your head nodding and your blood rushing. Every one of them is a thrill, and it’s very easy to just loop back to the first track as soon as the third one ends. Necrofier may not be breaking any molds, but they’re really good at what they’ve chosen to do. Visions In Fire was released on December 4th. 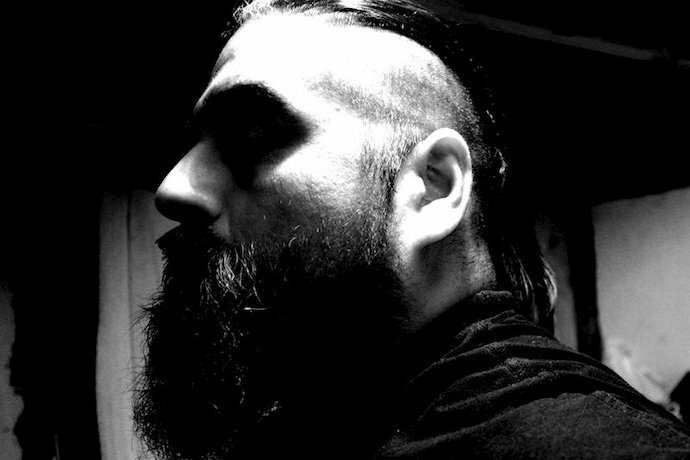 And I’m happy to report that Necrofier are planning to release a debut album in 2019. 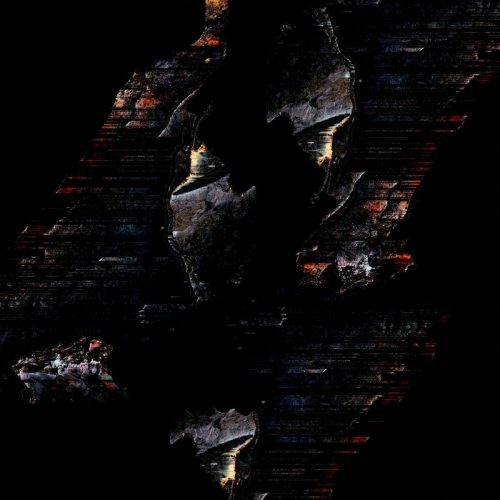 Let’s first deal with a potential barrier to entry into EOS, the debut album of Starless Domain (released on January 15th): It’s just shy of an hour long, and the band intended for you to listen to it as one continuous track, beginning with Part I and moving straight through Part IV without interruption. In fact, they say on their Bandcamp page, where the album stream is divided into four tracks, that if you provide proof of purchase, they’ll send you an un-segmented version of the album so that it can be heard exactly as intended. Having listened to the album as intended, from front to back without interruption, I can understand why the band feel it’s important to experience the music that way. It’s like sitting down in a Cinerama theater to witness a great and grand portrayal of spectacular, larger-than-life events which take you completely outside of yourself. Why would you choose to walk in late or leave early? The music powerfully creates visions of the vastness and wonder of the deep reaches of the cosmos, while just as powerfully evoking a changing array of very human emotional responses. Even when the band erupt in explosive flurries of blasting drums and vibrant bass notes, when the vocalists’ throat-shredding shrieks and gargantuan, cavernous roars are stiffening the hair on your neck in displays of their frightening madness, the waves of panoramic melody are absolutely glorious, channeling a sense of astonishment and awe. But the music channels other moods as well — feelings of isolation and near-hopelessness (the universe is incomprehensibly fantastic, but cold, humbling, hostile, and uncaring, too — just like our own neighborhoods closer to hand). The symphonic sweep and power of these sounds is all-encompassing and deeply immersive, yet human hearts beat within this musical universe, too, vibrating with the torment and pain, the regret and the grief, that we all know too well. It just happens that here, we experience these familiar dark moods on a great stage, surrounded by vistas we can barely comprehend. And it’s all beautiful — whether transmitted in moody acoustic picking, chilling ambient drift, or nova-like explosiveness. Well, you can tell I’ve gotten carried away with my words, as well as by the music in all its changing textures. Probably best that I stop and leave you to the music, but I suppose one last comment is warranted: You really could get a lot out of each of these artificially divided track-segments if you just picked one rather than doing what the band want you to do. In truth, the album probably could have been just as successful if it had been shorter. But if you get as completely carried away by these sounds as I have, you’ll be happy to have every one of these minutes. Starless Domain would welcome label overtures for a physical release of EOS. For now, you can download it at Bandcamp.